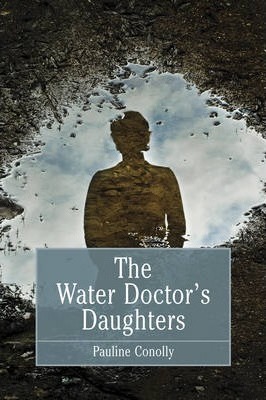 The Water Doctor's Daughters is the fascinating tale of Dr James Marsden, a wealthy nineteenth-century homeopathist and water-cure practitioner, and his troubled family life. Though Marsden's children grew up knowing some of the most famous personalities of the day, including Charles Darwin and Alfred Tennyson, they were severely emotionally deprived. Their mother had died in childbirth and Marsden himself was both self-absorbed and autocratic. In 1852 he employed French born Celestine Doudet as a governess. Doudet came highly recommended, having once served as wardrobe mistress to Queen Victoria. Within weeks she had accused the doctor's five young daughters of 'self-abuse'. Marsden urged the governess to do everything in her power to 'cure' them, condoning the use of physical restraints and insisting on a rigid homeopathic diet aimed at decreasing sensuality. By the autumn of 1853 Marian Marsden and her sister Lucy were dead and the governess was charged with manslaughter and cruelty. Two sensational trials followed, but who was more culpable...the girls' father or their governess? Pauline Conolly has worked in libraries and in the vocational training sector, but now divides her time between the UK and Australia. Conolly has written for a wide range of Australian publications, including the Sydney Morning Herald, The Australian and the literary magazine Quadrant.